Another week, another victory! Hold My Beer and Watch This is on a roll! Let’s just say this... Some things happened, some plays were made (some plays not made), some beers were drank, but we all really only remember one thing. A former HMBAWT-er came to celebrate Kicklord Johnson’s birthday, and ended up with cleats on his feet and a beer in his hand. Drew "Gingerlord" took his place behind home base, with only one thing on his mind… The flabongo. Despite some questionable pitches (ah hem AJ! ), Drew kicked the ball well over the Clingers’ heads, and it went bouncing into the swamp known as Bryn Mawr. As he ran the bases he quickly caught up to Morgan, who was rounding the bases, let’s say, not as quickly. Despite her neon pants, squeals, and probably prayers, Drew caught up to her as he was flying down the third base line. Drew offered a helping hand (or helping stiff arm) to push her forward, and Morgan couldn’t keep up the blistering pace, and both of them ended up in a heap three feet from home base. Unfortunately, during all this, the ball made its way back into the infield and Morgan (still on the ground ... heoh!) was hit with the ball and was out. Thankfully, Drew managed to get up, hurdle her, and make it home! The team had the spoils of war ready, and the flabongo of beer just ready to be consumed. But wait! The real kicker (get it?) of the whole event? It was called a foul. Whaat? I don’t know about the rest of the team, but I, for one, was thankful for the delayed call. 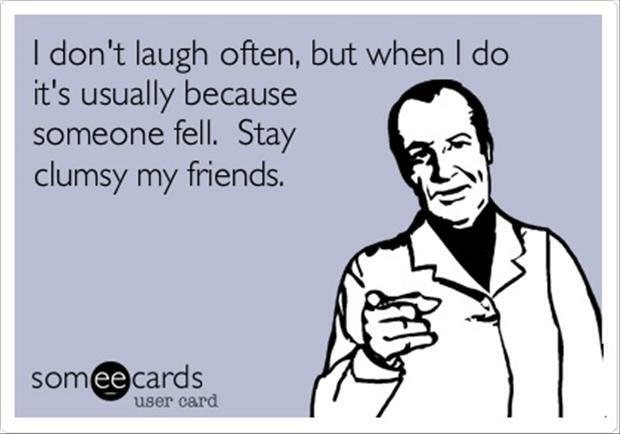 Let’s be honest, people falling down is hilarious pretty much every time. At the bar we continued the general awesomeness and surprised Kicklord Johnson with a birthday cake (from Costco, obviously the best kind of cake there is) and of course, the birthday song. And despite the Stage Five Clingers captain’s continual threats for a smackdown at flip cup, no captain and no smack down occurred. Victorious again! Woo HMBAWT! 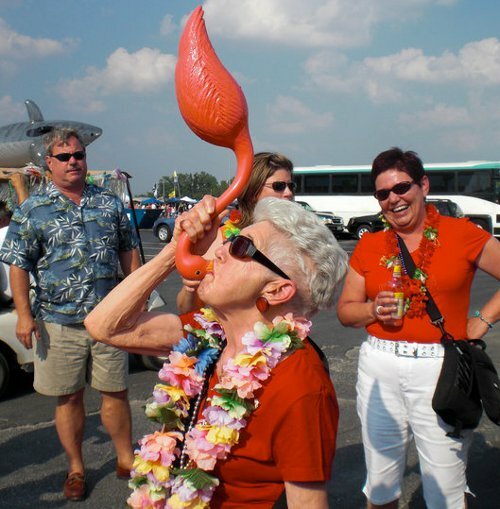 Editors Note: I have officially added the world ‘flabongo’ to my Word dictionary. I think my work here is done.